TOPCU takes every precaution to protect our members’ information and data security is the number one priority. If you suspect fraud on your account, please let us know right away by calling (520) 881-6262 ext. 702 or toll-free at (800) 440-8328, or visit your local branch. IMPORTANT SAFETY ALERT: We continue to monitor fraudulent activity in the United States and abroad. TOPCU cards will be blocked for your protection in areas we deem a security risk. Please let us know if you are traveling, so we can put a VIP travel notification on your account. Important Information regardin g the Equifax Data Breach: At TOPCU, we make your account security and protection of your personal information our highest priority. We will continue to monitor the impacts of the breach and will update members as new details are made available. In the meantime, read how you can protect yourself now. If you have not done so, you should also register your TOPCU Visa debit and/or credit cards for Visa Purchase Alerts. Click here to register your card(s). Crooks use clever schemes to defraud millions of people every year. Identity theft, phishing scams, telephone scams, lottery scams and Internet scams are growing concerns. Phone calls, text messages, and email messages ask recipients to disclose confidential information such as account and credit card numbers, Social Security numbers, and passwords, or to complete a member satisfaction survey to receive a sum of money. Be wary of letters or emails that ask for money or send you to suspicious websites. Don’t click links within emails you don’t recognize. Delete texts immediately from numbers and names you don’t recognize. Always remember that TOPCU will never contact you and ask for personal or sensitive account information. If you respond to one of these messages and have disclosed your personal information to an unknown sender, please notify TOPCU immediately by calling our contact center at (520) 881-6262 ext. 702. Be sure to monitor your finances for signs of identity theft, such as fraudulent transactions or unauthorized new accounts. As the saying goes, if it sounds too good to be true, it probably is! The Better Business Bureau of Southern Arizona monitors and reports on scams to keep the Tucson community up to date on these malicious activities. 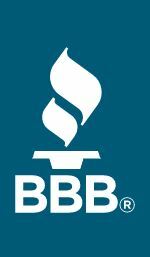 Keep updated with the BBB Scam Tracker. Whether you’re traveling in the United States or overseas, please notify TOPCU prior to your travel so that we may flag your account and avoid any issues using your ATM or Debit cards. 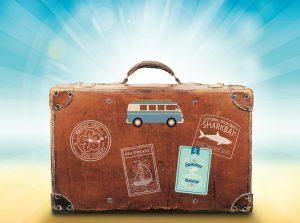 To notify us about travel, or if you have additional questions, contact us at (520) 881-6262 ext 702 or by email at info@topcu.org. According to the Federal Trade Commission (FTC), Arizona has ranked high on the list of all states in identity theft. Identity theft occurs when a criminal steals another person’s personal information to take on that person’s identity. Identity theft is much more than misuse of a Social Security number—it can also include credit card and mail fraud. Knowledge and awareness are key ingredients in arming yourself against identity theft. The FTC Consumer Information site is a one-stop national resource about identity theft, providing current information and practical tips to help you deter, detect, and defend yourself from fraudulent activities. Learn more at the FTC online resource center. You can also find additional information on Identity Theft from the Arizona Attorney General’s Office.